This has been a very smooth process with you and the team. We are very appreciative of that! I have passed along your names to as many folks as I can, we have nothing but praise. Thank you for everything. After spending our summer vacation in Bridgewater, Nova Scotia, and falling in love with the area, we decided to make the big move from Ontario. With the tremendous help of Cheri Young and Mark Seamone of Exit Realty, we were able to find our dream home. They have been absolutely wonderful to work with, not only assisting us with our purchase, but also with any information on the area that we needed. They have gone above and beyond the requirements of a real estate team, offering answers to any new questions that arise, and even recommending some great local restaurants. Cheri and Mark have truly helped to make our relocation a great experience, and we would highly recommend them to anyone looking to buy or sell a home. Mindful and attentive - this is how I would best describe Cheri and Mark of Exit Realty Inter Lake. They made the purchase of my new home seem effortless. Their complimentary skill sets are an asset to anyone looking to buy a house. I wholeheartedly recommend them! I was provided with outstanding and professional service by the MarkthatSOLD Home selling Team. Fortunately, a suitable home had just come on the market. Because of my work situation, time was quite limited. Mark Seamone and his colleagues set up a viewing immediately. His team were waiting for me for the viewing, The home was perfect for my needs. The Team immediately set all the necessary requirements in motion, including providing assistance with advice on a range of matters from house insurance to legal affairs. They have a good knowledge of local businesses and contacts that can help facilitate purchase of real estate. I went to the Exit office several times and was given accurate information. E-mails and calls were replied to immediately, sometimes well before or after work hours. The deal was closed successfully. I highly recommend MarkthatSOLD Home selling Team. The MarkThatSOLD Home Selling Team was great to deal with. They were extremely organized, professional, and understanding. Selling a home is no small task and they made it easy. Mark and Cheri made themselves available whenever they were needed during the entire process. What we thought was going to be a 6 month timeline to get an accepted offer was only 3 weeks, and in less than 75 days total we were closed and sold. 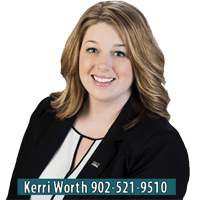 Kerri has been fantastic to work with – from the early days of thinking about wanting to buy a house, through all of our viewings, to the day of closing – she was there for us. As a first time home buyer, it’s such a relief to work with someone who is there for all of the questions. Even if she didn’t know, she was quick to find out. Hey Candice, Thanks for all your help in debugging HomeZilla newspaper system. Your detailed feedback has really helped us in being able to quickly reproduce, find and fix the problems. I wanted to take a few minutes to give some positive feedback to a most deserving agent. Kerri Worth has helped my husband and I finally purchase our forever home, in Dayspring. We have been through a lot, to say the least, during this process. Without the honest and dedicated customer service we received from Kerri I’m certain that we would not have the positive outcome we are about to experience. This was our first time going through a home buying process. Kerri was patient and thoroughly explained everything we needed to know. I wholeheartedly trust and value her guidance; she guided us to the purchase of our dream home, which we didn’t think would ever be a possibility. She was our rock. I cannot say enough good things about her conduct, professionalism and would absolutely recommend her to anyone looking for a home. Our home closes on Wednesday!! That is a sentence I only dreamed possible; made realitywith a herculean effort from Kerri. She is a superstar! My husband and I have recently used “Mark That Sold Home Selling Team” to list and sell our property. The members of the team were friendly and professional and readily available. There was no pressure from them for quick decisions and all communications were clear and timely, with suggestions to help us achieve our goal. We felt comfortable working with them and confident in their ability to get the job done . We also trusted in their integrity. The sale of our property was quickly and efficiently done. My husband and I would recommend this “Team” to anyone considering listing their property with the intent to sell. What could have been stressful turned out to be quite the opposite – a pleasure and a job well done! Sorry to leave the Area..
We had an excellent experience selling our first home with Mark and Candice. They promised that our home would be off the market before the winter hit, and delivered true to their word with excellent communication, resourcefulness and personality. 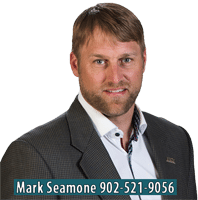 We would recommend the Mark That Sold team to anybody looking to move a property quickly on the South Shore. Mark, Cheri and Candice took care of everything! They are professional, very well organized and made the sale of my commercial building, hassle free! Thank you for your hard work. 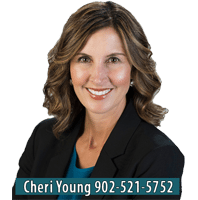 Cheri was my REALTOR® when I sold my house and was an absolute pleasure to work with! She helped to make what could have been a stressful experience an enjoyable one. Cheri handled the sale in a professional, honest and realistic was that ensured I got a satisactory. They are professional, very well organized and made the sale of my commercial building, hassle free! Thank you for your hard work. I wanted to thank you for taking the time to chat with us about the house buying process. It was not only helpful and reassuring for my husband especially, but also instills confidence in us that we are working with someone we feel good about to help guide us to buy our forever home. We had sixteen days to get out of our house, and get another one in a distant county. Everybody said it was impossible. The realtor team of Mark Seamone and Candice Drennan at Exit Reality Inter Lake proved them wrong. From the very beginning their promptness, efficiency, and high level of organizational skills made it obvious we were in very capable hands. Maximizing modern communicative technology enabled them to set up five showings with only a few hours notice. We were amazed! 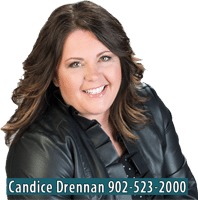 With tact, tenacity, and a wonderful personal touch, Mark and Candice are a team of professionals whom we think are as good as any you could get in the realty industry.